As part of its ongoing Market Intelligence Benchmarking Circle offering, M-Brain recently facilitated an event with the senior market and competitive intelligence leadership of 12 Fortune 500 corporations. 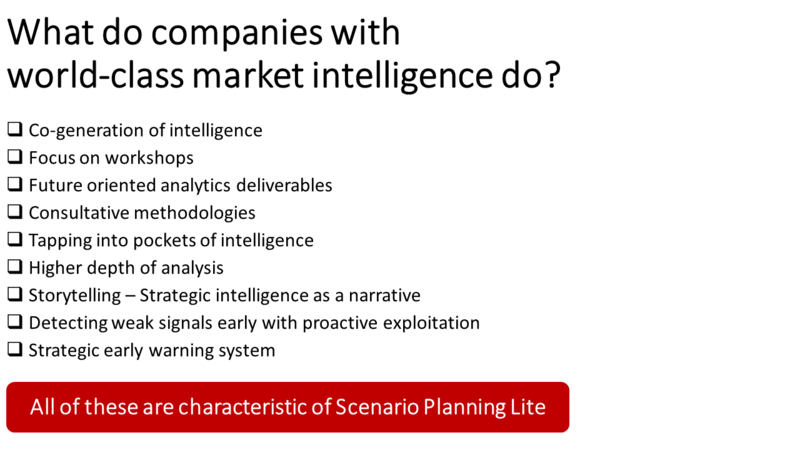 While many of these executives strongly support scenario planning as the most strategic and forward-looking instrument in the intelligence toolbox (see below), a surprising majority also expressed misgivings with the traditional approach to applying this methodology. The reason for this is that traditional scenario planning is often a very heavy, protracted, time-consuming initiative that takes several months or more, requires huge amounts of planning, and attendance by very senior strategic corporate executives. There was general consensus in the room of the benefit of recasting scenario planning as a nimble, easy, flexible, and swift methodology to create and leverage pockets of intelligence in the organization. Enter Scenario Planning Lite. The benchmarking circle rolled up its sleeves and went to work looking at practical ways to make this big, hairy, audacious beast we call scenario planning less scary and hairy. In the room were easily 250+ years of career intelligence experience, so the results are highly credible, insightful and instructive! The first step is a mental reset to avoid the temptation to “boil the ocean” and “paint the universe”. This entails reducing the laundry list. 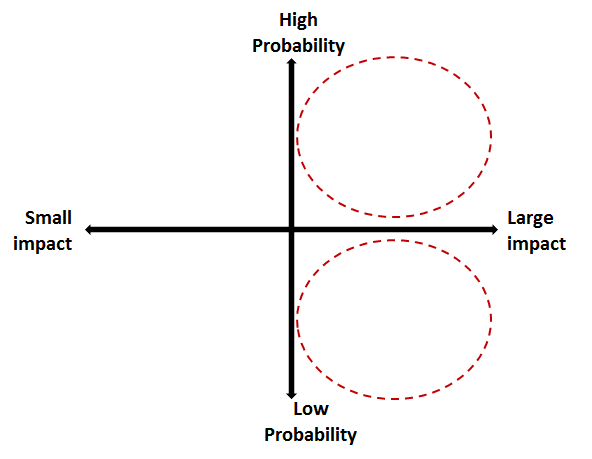 Pare down your list of potential scenarios from the onset to only those that are of high probability and large impact, and maybe throw in a few “black swans” that are of low probability and large impact. This will immediately reduce the number of scenarios under consideration by 50% or more in one fell swoop. The key to effectively yet efficiently reduce the scope is to leverage pockets of intelligence in the organization. 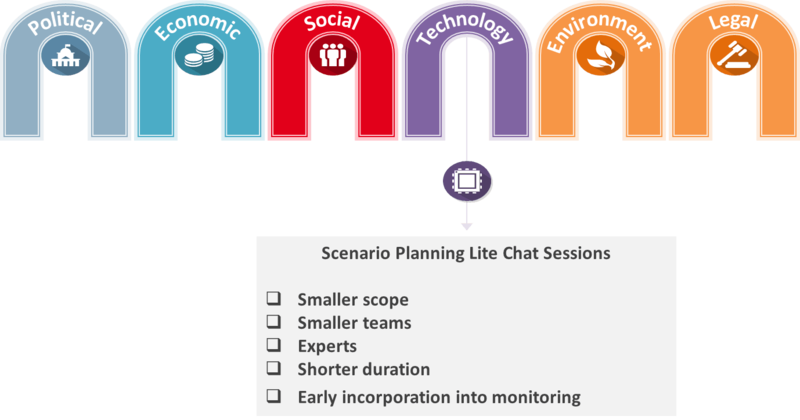 Instead of attempting to capture the universe of scenario planning elements into one giant mega scenario planning event, the Scenario Planning Lite approach encourages breaking down the scope into a process comprised of manageable, bite-sized chunks. Question: How do you eat an elephant. Answer: One bite at a time. This requires the intelligence leadership to engage with domain experts both inside and outside the firm and conduct mini-scenario planning discussions with them on a regular basis. For example, this turns the often academic exercise of the traditional PESTEL element of scenario planning into simply chatting with market-facing experts in those areas on a relatively consistent basis. It has often been said that over 75% of the intelligence most companies require already exists in the organization. 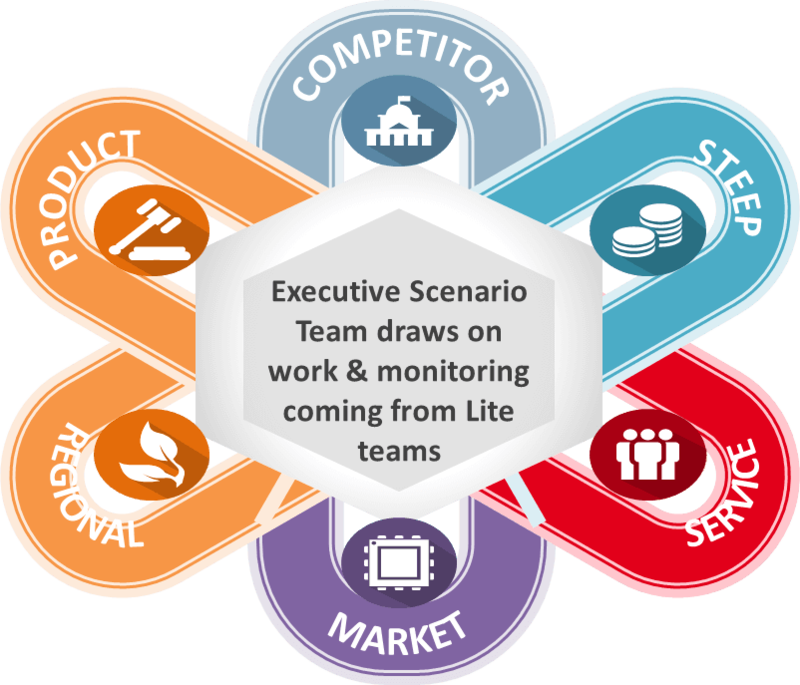 The beauty of the Scenario Planning Lite approach is that it casually leverages pockets of intelligence in the organization on a frequent basis. These can then be used as time-saving, direct input by the Executive Scenario Team. 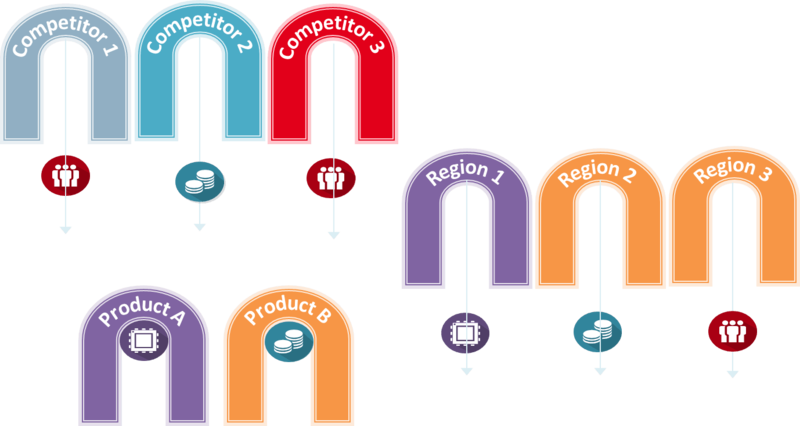 Intelligence portal software is an intrinsic component because it amplifies the benefits of Scenario Planning Lite. Before and during the workshop, intelligence portals are highly effective in supporting the workshop preparation and implementation via executive scenario dashboards, simulation, personal email briefings, executive newsletters, report storage, etc. After scenario planning workshops, companies are well-served to incorporate early warning indicators of identified scenarios into their daily monitoring programs. This essentially turns their tactical current awareness program into a strategic early warning system. An important component of the market intelligence benchmarking circles are M-Brain’s global market intelligence surveys – the largest of its kind for the past 14 years. For example, the latest survey secured in-depth responses from 880 companies in 64 countries. It has been said that one of the most important roles of intelligence is to “afflict the comfortable” rather than “comfort the afflicted” (with a nod to Billy Graham). So, in a spirit true to the contrarian heart of intelligence, we conclude by asking you, dear reader, how many of the above characteristics can you check off at your company? If none or only a few, consider Scenario Planning Lite. It’s a practical option to quickly and easily make your intelligence function – and, indeed, your company – more intelligent. This article is a collaborative effort of M-Brain and the North American Intelligence Benchmarking Circle members. The membership of the North American Intelligence Benchmarking Circle is comprised of executives with Intelligence leadership positions across ten companies with world class intelligence activities. They meet regularly to share experiences in intelligence management.